What’s your dream gift this Christmas? Is it an Alexander McQueen clutch, a Balenciaga City, a Givenchy Antigona, a pair of Christian Louboutins? Well, if your answer is hell to the yes, then you could be in luck! 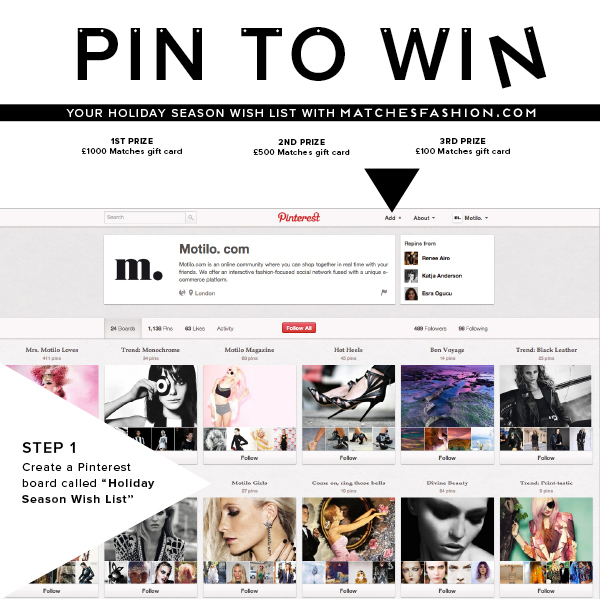 Social shopping site, Motilo, and luxury shopping destination, Matches, have teamed up to offer you the chance to win your dream Holiday Season wish list! And when I say dream, I really mean DREAM–as in BIG, REEEEEAAAAALLY BIG! Why? 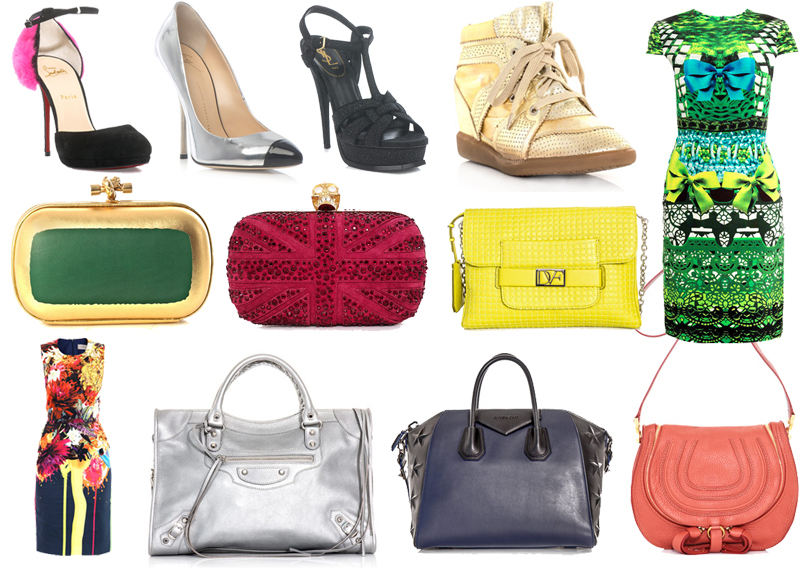 Because 3 lucky winners will be chosen at random to win a £1,000, £500 or £100 Matchesfashion.com shopping spree! Just imagine what you can buy with these prizes! 2 YSL shoes? 2 Charlotte Olympias? 2 Lanvin dresses? OMGWHDHS!!!! If you’re still not itching to know how to join, something is seriously wrong with you! This is your chance! Create a Pinterest board called “Holiday Season Wish List”. Add #Matchesfashion to every item you pin. Follow Motilo & Matches on Pinterest. Competition closes at midday on December 17 so I suggest you start pinning. The more pins you do, the more chances you have of winning! FOR MORE DETAILS, CLICK HERE. Good luck! You can follow me on Pinterest too here. Hi Camille, where can we see the details for the winner? :) Thanks much! Joined! Hope to win! Prizes are awesome! Wow! That’s a lot! Good luck Anna! is this giveaway opens to worldwide po? Diba? Such a big prize! Good luck! Is this open to international audiences ? ?